For more than 35 years, Jonathan D. Light has represented individuals and their families injured in motor vehicle, truck, tractor-trailer, motorcycle, bicycle and pedestrian accidents. On the streets and highways you travel every day, you could become involved in an event that changes your life drastically. Hundreds of motor vehicle collisions occur in Massachusetts alone each year, and these accidents are rarely blameless. They often involve at least one party driving recklessly or negligently. Vehicular accidents may result from the negligence of one or more of the operators involved, road conditions and weather, lighting, highway or road design, construction debris, mechanical failure of one of the vehicles, or some other cause. If two or more parties were negligent and contributed to causing the accident and the plaintiff's injuries, both negligent parties may be liable as joint tortfeasors in Massachusetts. In any vehicular accident in order for the injured party to collect damages for his medical bills, lost wages, pain and suffering, and permanent impairment, he or she must prove the accident was caused by the negligence of another party. If you have been injured in an automobile, truck, tractor trailer, or motorcycle as an operator, passenger, or pedestrian, resulting from someone else's negligence, you may be entitled to recover compensation for your pain and suffering, medical bills, lost wages, diminished earning capacity, scarring, disfigurement and permanent impairments. Attorney Light thoroughly investigates your case, regularly uses qualified private investigators to identify and interview witnesses, retains accident reconstruction experts and mechanical engineers to help establish liability against the responsible party, and engages medical experts on your behalf to help prove the extent of your injuries. Click here to view the case results page to learn more about some of the firm's prominent recoveries for individuals and families seriously or fatally injured in car, truck, tractor-trailer, motorcycle and pedestrian accident cases. The Law Firm of Jonathan D. Light, P.C. has handled serious car, truck, tractor-trailer, motorcycle, bicycle and pedestrian accident cases throughout Boston and the state of Massachusetts. Call 617-245-0220 or contact the firm online to schedule a free initial consultation on your vehicular liability case. The firm serves clients in Boston and throughout Massachusetts. Massachusetts is a no-fault state, so even if you were partially at fault for your auto accident, your medical bills should still be covered by insurance. In most cases, up to $2,000 of your bills is covered by the car insurance policy attached to the vehicle you were in during the collision, and your health insurance should cover the rest, depending on your policy terms. If you do not have health insurance, or if you are covered by MassHealth, Medicaid or Medicare, the car insurance company may pay up to $8,000 for your medical bills under the PIP coverage. If you have lost wages because you were unable to work due to your injuries, you may be entitled to collect 75 percent of your lost wages under the PIP coverage to $8,000. The maximum available under PIP coverage is $8,000 for medical bills and lost wages combined. If the party who caused the accident is not identified because it was a hit and run accident or was uninsured because the operator was not authorized to operate the vehicle or was operating a stolen vehicle or was operating without a valid insurance policy then the injured party may make a claim under his or her own insurance policy under the uninsured motorist coverage. In Massachusetts every insured must have at least $20,000 of uninsured and underinsured coverage. The Law Firm of Jonathan D. Light, P.C. handles serious car cases throughout Boston and the state of Massachusetts. Call 617-245-0220 or contact the firm online to schedule a free initial consultation on your premises liability case. Collisions involving big rig trucks require a different legal strategy than accidents with private motorists. Commercial truck drivers are employed by companies that typically retain teams of lawyers to fight negligence claims, especially those involving personal injuries. 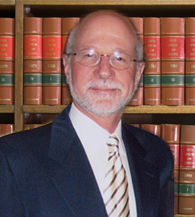 It takes an experienced attorney, knowledgeable of personal injury laws as well as truck driver safety rules and regulations such as the U.S. Department of Transportation which regulates the work hours and other working conditions of truck drivers engaged in interstate commerce and truck driver regulations under the Federal Motor Carrier Safety Administration to effectively represent those injured in these types of collisions. The Law Firm of Jonathan D. Light, P.C. handles catastrophic truck and tractor-trailer cases throughout Boston and the state of Massachusetts. Call 617-245-0220 or contact the firm online to schedule a free initial consultation on your truck accident case. The Law Firm of Jonathan D. Light, P.C. helps motorcyclists and their families fight for rightful compensation for their injuries. Contact the Law Firm of Jonathan D. Light, P.C. to schedule a free initial consultation on your motorcycle accident case. The Law Firm of Jonathan D. Light, P.C. helps bicyclists and their families fight for rightful compensation for their injuries. Contact the firm to schedule a free initial consultation. Some of the most tragic circumstances surrounding a motor vehicle accident are those that involve pedestrians. Injuries to the pedestrian are nearly always serious and frequently fatal. Pedestrians walking in or close to a crosswalk have the right of way in Massachusetts and vehicles have a duty to slow down and proceed with caution when it is reasonably safe to do so. Pedestrians crossing a street outside and not close to a crosswalk and injured by a motor vehicle may be able to recover against the driver if under all the circumstances of the case the driver should have been able to see the pedestrian crossing and had an adequate opportunity to avoid the pedestrian. Those struck by negligent drivers may be able to sue for compensation for medical expenses, pain and suffering, lost wages, permanent injuries, diminished earning capacity, scarring and disfigurement. The Law Firm of Jonathan D. Light, P.C. can help. If you have been injured or lost a loved one in a car, truck, motorcycle or pedestrian accident, you may be entitled to receive compensation. Call 617-245-0220 or contact the Law Firm of Jonathan D. Light, P.C. online to schedule your free initial consultation. The firm serves clients in Boston and throughout Massachusetts.